← Latest Cost of Living Rankings out tomorrow 1 July – Don’t miss out!! 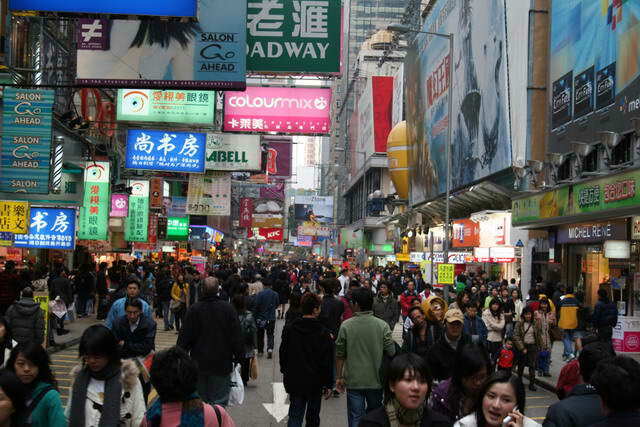 The most expensive place to live in July 2012 is Hong Kong based on the overall cost of living, encompassing all cost of living baskets. Moscow is the most expensive based on the cost of living excluding the housing, education, healthcare and transport baskets. Many companies cover these costs on behalf of the employee while on international assignments. The cost of housing in Hong Kong is one of the largest contributors to making Hong Kong the most expensive place to live overall. Hong Kong is approximately 5% more expensive than Tokyo based on the overall cost of living including household accommodation, however if the housing, education, healthcare and transport baskets are excluded, Tokyo is around 27% more expensive than Hong Kong. Household accommodation comprises 30% of the overall cost of living index. Hong Kong is very expensive for household accommodation. A 3-bedroom apartment in Hong Kong costs around 46,000 HKD / 6,000 USD per month to rent compared 300,000 JPY / 3,800 USD in Tokyo, 4,000 AUD/USD in Sydney and 2,700 EUR / 3,400 USD in Zurich. In January 2008, 1 Japanese Yen bought USD 0.009, by January 2012 the Yen had strengthened by 44% to 0.013 USD. The positive impact on expatriates based in Japan is that imported goods priced in USD would have become a great deal cheaper in local currency. However, expatriates earning US Dollar salary packages will have seen a significant drop in salary when converted to local currency, unless assignment salary adjustments were made. In January 2008 an expat based in Japan, earning 100,000 USD per annum, was on the equivalent of around 11.1 million JPY using the ruling exchange rate at the time. If no adjustment was made to the 100,000 USD, the equivalent in January 2012 converted to local currency was 7.7 million JPY which represents a considerable drop in purchasing power. During this period Japan’s inflation has ranged between 0.1% and 1.3% per annum. The impact of the significant change in the exchange rate from 2008 to 2012 is that in order to maintain purchasing power in Japan at 2008 levels, the 100,000 USD expatriate salary package would have to be increased to around 144,000 USD in 2012. To provide an assignee, sent from a low cost of living location to a more expensive country, with a similar purchasing power to what they have in their home country, requires an adjustment to their assignment salary. The amount of adjustment depends on which country they come from. The larger the difference in cost of living, the larger the adjustment required to ensure a similar level of purchasing power in the host country. For example an assignee sent from Houston with a cost of living index of 67.43 to Tokyo with a cost of living index of 142.12 would experience around 110% (i.e. more than double) increase in the cost of living. Therefore as at July 2012 an assignee earning 100,000 USD in Houston would need to earn around 210,000 USD in Tokyo to have the same purchasing power as they had in Houston. Zurich, 3rd most expensive overall and most expensive city in Europe, is particularly expensive for groceries, restaurants, meals out, hotels and transport. For example a cappuccino costs around 4.20 EUR / 5.30 USD in Zurich compared to 4.40 USD in Moscow, 2.35 GBP / 3.70 USD in London and 3.60 USD in New York. A litre of petrol / gasoline costs around 1.60 EUR / 2.00 USD in Zurich compared to 0.95 USD in Moscow, 1.30 GBP / 2.04 USD in London and 1.02 USD in New York. Caracas, 5th most expensive overall and most expensive city in the Americas, is particularly expensive for clothing, education and groceries. For example a litre of milk costs around 1.50 USD and a loaf of white bread 1.80 USD in Caracas compared to 0.90 GBP / 1.40 USD and 1.03 GBP / 1.62 USD respectively in London. Not everything in Caracas is expensive, for example a litre of petrol which costs around 0.13 USD in Caracas, costs around 1.02 USD in New York. Sao Paulo, 10th most expensive overall and 2nd most expensive city in the Americas, is particularly expensive for clothing, furniture, appliances, and personal care. In addition a litre of petrol/gasoline costs around 1.45 USD in Sao Paulo compared to 0.60 in Luanda, 0.47 in Abu Dhabi and 0.27 USD in Doha. Luanda is the most expensive place in Africa with an overall cost of living index of 116.01 which is similar to cities such as Brisbane, Copenhagen and Kobe in Japan. In comparison London is 1.5% more expensive, New York 14% cheaper and Cape Town 22% cheaper than Luanda. Luanda, is particularly expensive for restaurants, meals out and hotels. For example a cappuccino costs around 4.40 USD in Luanda and around 3.70 AUD/USD in Brisbane. Household accommodation is also expensive in Luanda, a 3 bedroom apartment in Luanda costs around 7,000 USD rent per month compared to Copenhagen at around 1,900 EUR / 2,400 USD per month. Not everything in Luanda is expensive, a litre of petrol which costs around 0.60 USD in Luanda costs around 190 JPY / 2.40 USD in Kobe in Japan. Abu Dhabi is the most expensive place in the Middle East. Abu Dhabi’s overall cost of living index of 101.68 is similar to cities such as Rome, San Francisco and Montreal. On the other hand London is 18% more expensive, New York 1.7% cheaper and Cape Town 11% cheaper than Abu Dhabi. Abu Dhabi is particularly expensive for restaurants, meals out and hotels. For example a cappuccino costs around 18 AED / 4.90 USD in Abu Dhabi and around 1.30 EUR / 1.63 USD in Rome. Household accommodation is also expensive, with a 3 bedroom apartment in Abu Dhabi costing around 14,000 AED / 3,800 USD rent per month compared to Rome at around 2,400 EUR / 3,000 USD per month. On the other hand a litre of milk which costs around 4.5 AED / 1.20 USD in Abu Dhabi costs around 1.5 EUR / 1.88 USD in Rome. Mumbai is the most expensive place in South Asia, but is still considered much cheaper than many western cities. Mumbai’s overall cost of living index of 81.41 is significantly lower than cities such as London (48% more expensive), Rome (25% more expensive), New York (23% more expensive) and Cape Town (11% more expensive). Although, within the context of the region, Mumbai is considered particularly expensive for household accommodation and groceries, a 3 bedroom apartment in Mumbai costs around 67,000 INR / 1,200 USD rent per month compared to Rome at around 2,400 EUR / 3,000 USD per month. Similarly a litre of milk which costs around 40 INR / 0.72 USD in Mumbai costs around 10 ZAR / 1.20 USD in Cape Town. As the overall most expensive place to live, Hong Kong has an overall cost of living index of 149.14, followed by Tokyo with 142.12, and Zurich with 137.12. The overall index is comprised of 13 different basket groups. The assumption using the overall index is that everything is paid from the salary package. In addition, the cost of living calculations are weighted according to typical monthly international expatriate spending patterns. The Household Accommodation Basket for example, has a weighting of 30%, while the Groceries Basket has a weighting of 16.5%. That means that an international expatriate who, for example, earns 10,000 would typically spend 3,000 (30% of 10,000) on housing and 1,650 on groceries. Of the top 50 most expensive destinations to live based on the overall cost of living, Asia-Pacific has 25 locations, Europe 12, the Americas 9, and Africa 4. The most expensive city in the Middle East is Abu Dhabi ranked 77, while in South Asia it is Mumbai ranked 345. The full July 2012 overall cost of living rank for all international locations using all 13 baskets can be found here. This entry was posted in cost of living ranking, cost of living rankings and tagged cost of living rankings, current cost of living, International Cost of Living, recent cost of living rankings. Bookmark the permalink.